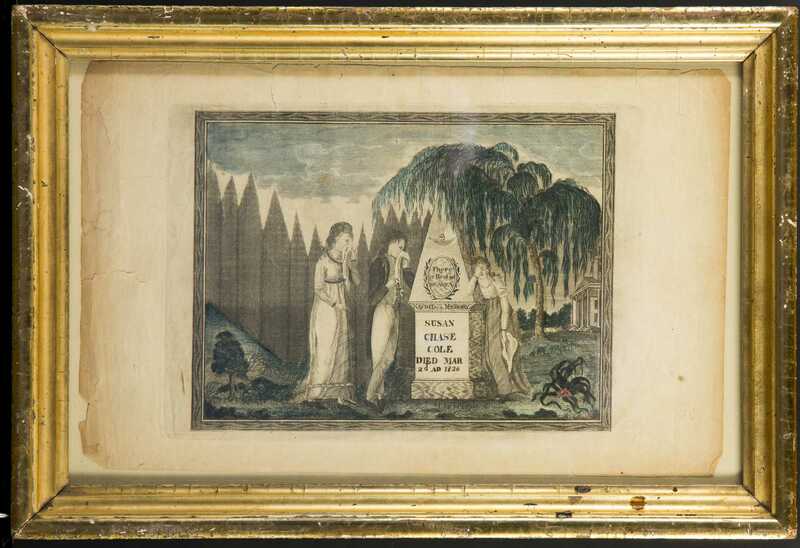 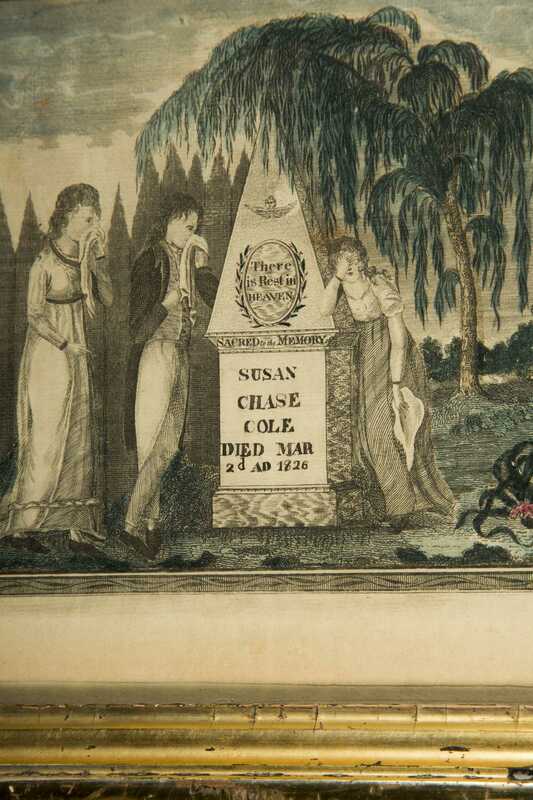 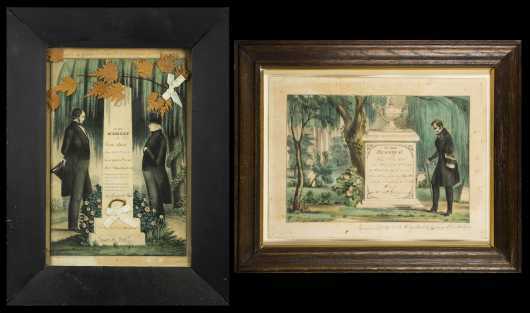 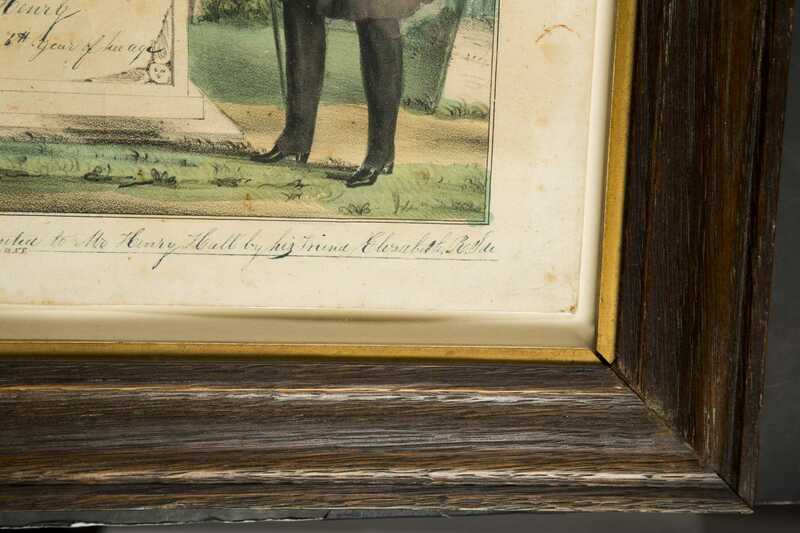 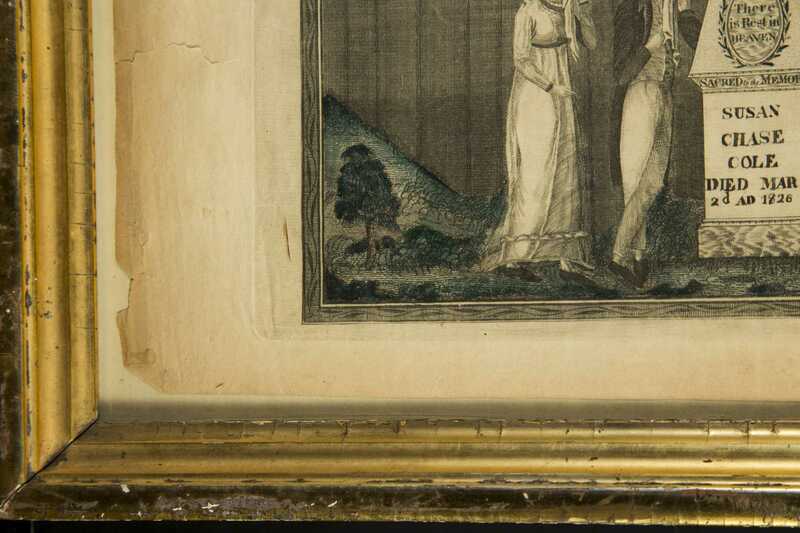 Three 19thC Colored Print Memorials, A) Colored print of a memorial for "Susan Chase Cole died 1826", 7 3/8" x 12", framed under glass. 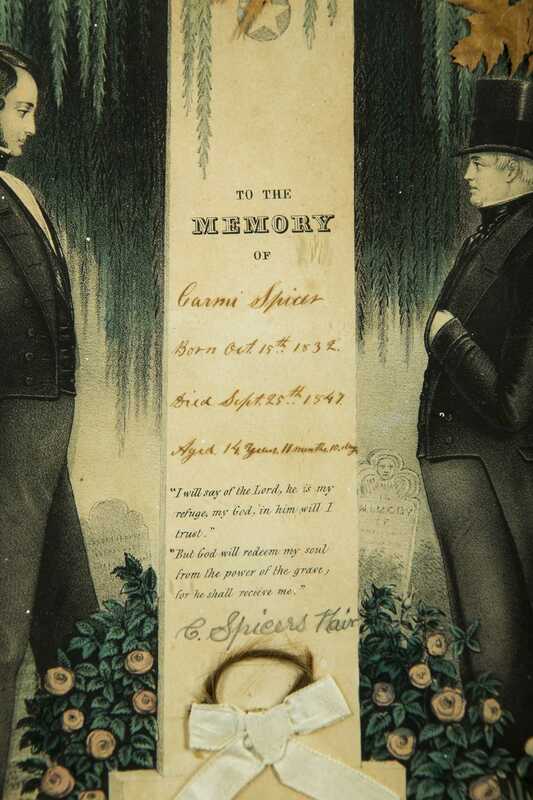 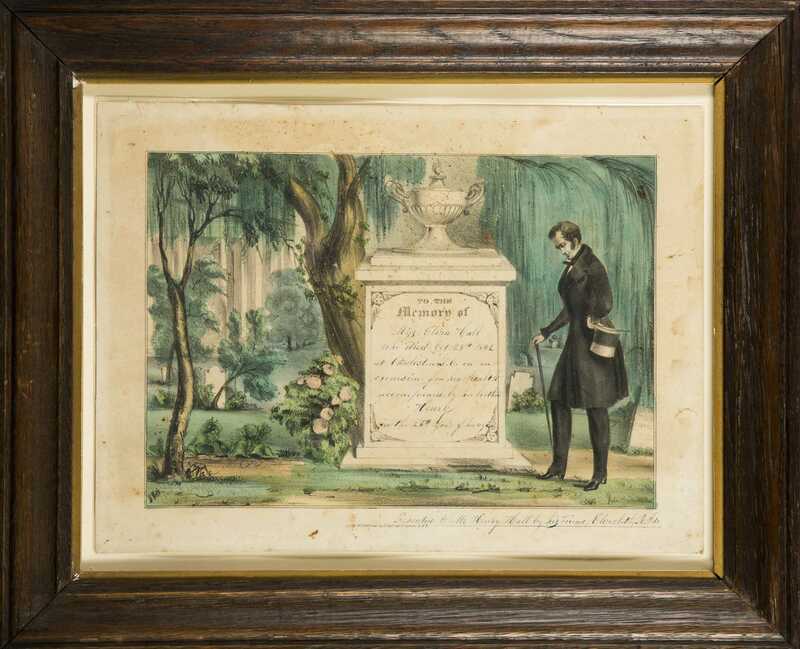 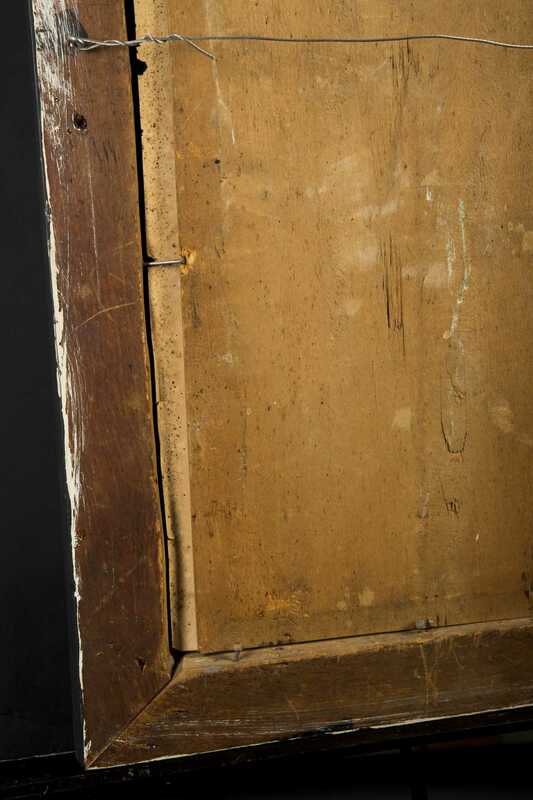 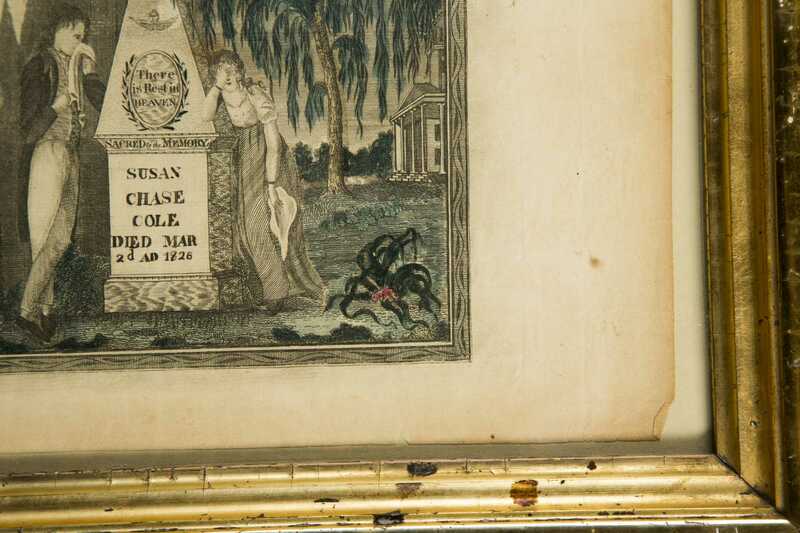 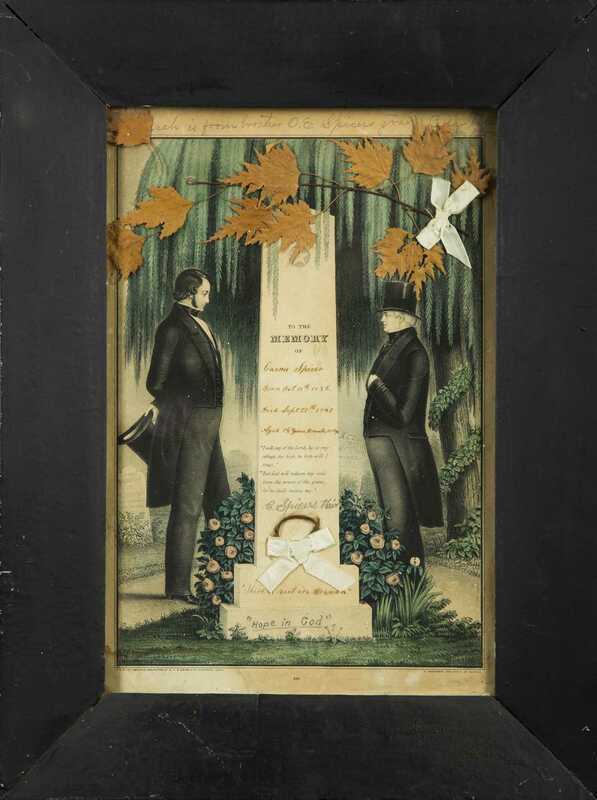 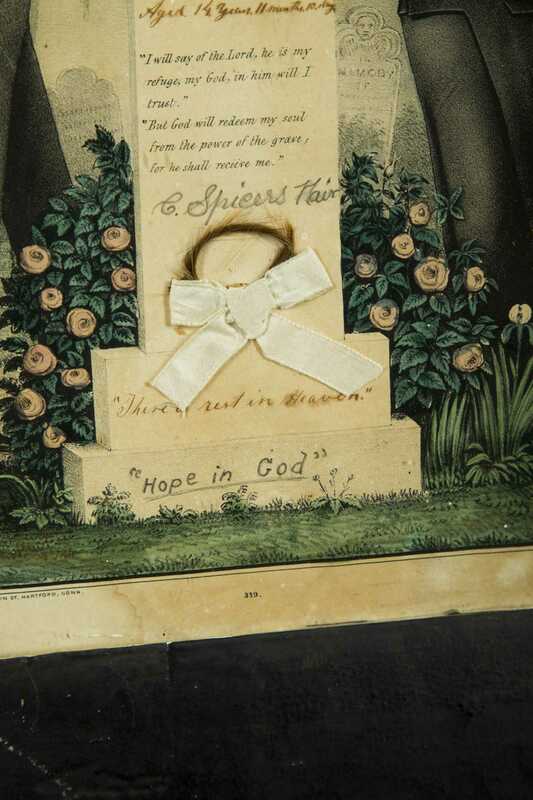 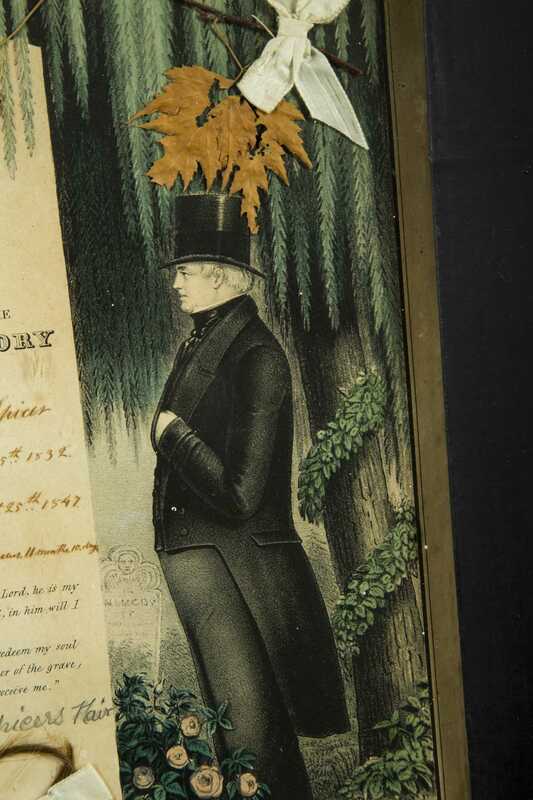 B) Kellogg Lithograph memorial for "Carmi Spicer died 1847" with lock of hair, dried leaves and notes, 13 1/2" x 9", framed under glass. 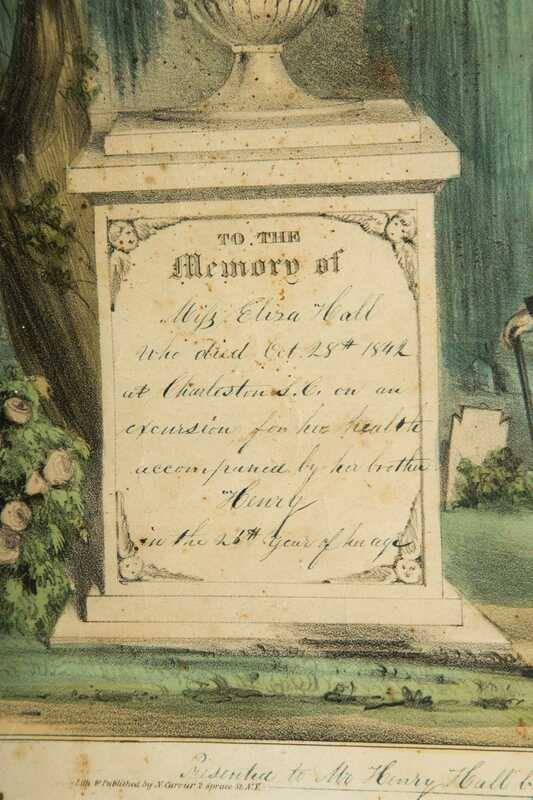 C) N. Currier Lithograph memorial for "Elisa Hall died 1842", 10 3/4" x 14 3/4", framed under glass.